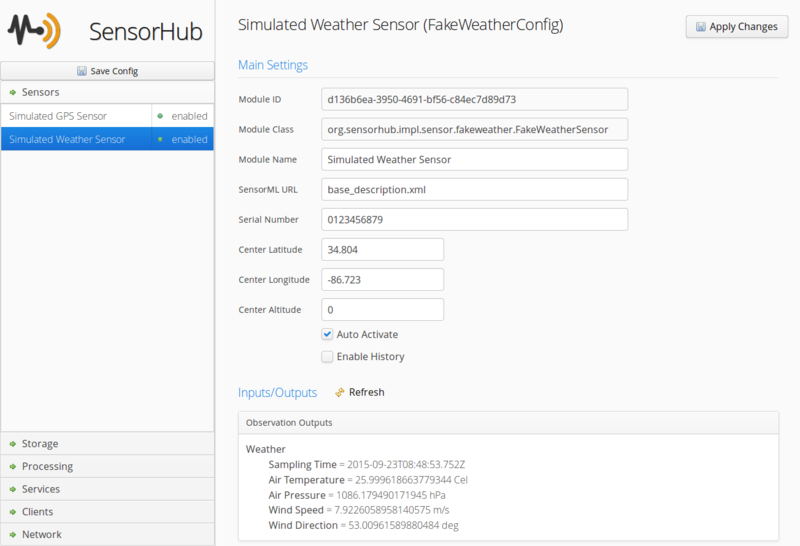 Below is a screenshot of the user interface showing configuration settings for the simulated GPS sensor (used for testing). You will then be presented with a choice of installed modules that can be instantiated on the current node. The list will only show the modules whose type can be added in the current section. 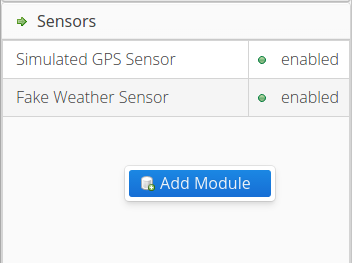 In our example, we see all sensor drivers currently available on our node since we clicked in the "Sensors" section. Once the module is added, it's configuration form is automatically shown on the right and you can start changing its parameters. To configure a module, simply select it on the left panel (after opening one of the main sections), and make the desired changes in the form that is displayed on the right. Once you're done, apply your changes, click the "Apply Changes" button. This makes the changes in the actual module configuration and, if the module handles configuration updates properly, the new configuration should be immediately reflected by the running module. Modules are started and stopped by right clicking on the module in the left panel and selecting "Enable" or "Disable" respectively.